The year just rolls by every time! We are done with Navratri and, before we know it, Diwali will slip through our fingers too. Why not add another celebration to cover the period between the two festivals in this season of celebrations. Yep, I’m talking about Halloween! 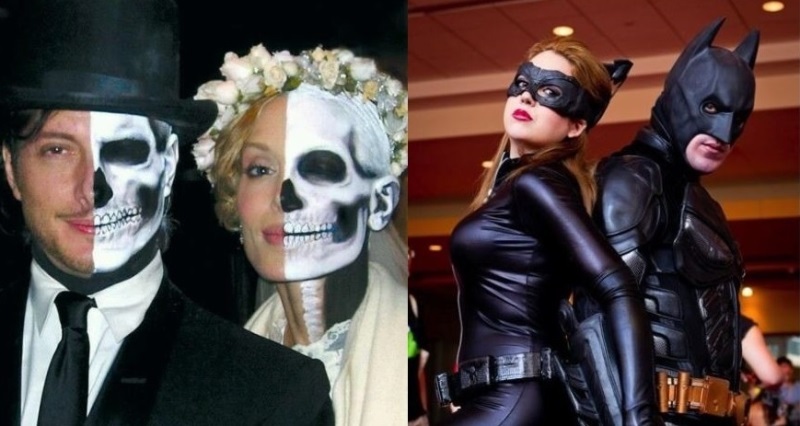 NLT has curated 30 Halloween costume ideas for couples that we thought were aww-mazing! If there is one eternal love story that we all go back to again and again, it is not that of Rahul and Anjali (puh-lease! ), but of Mickey and Minnie Mouse! 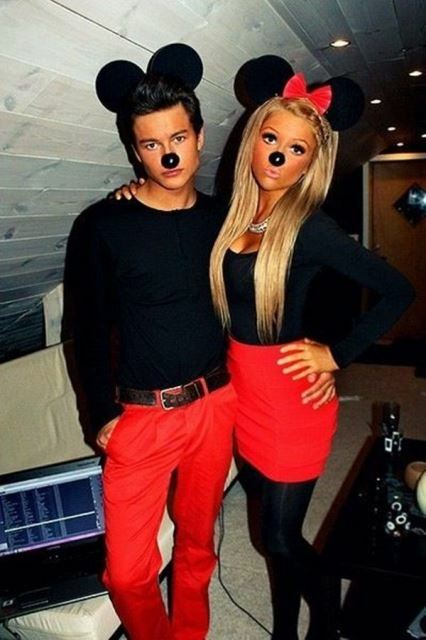 God bless Walt Disney for the inspiration for this amazing Halloween costume for couples! Okay, you can do that K2H2 thingy while dressed as Mickey and Minnie! 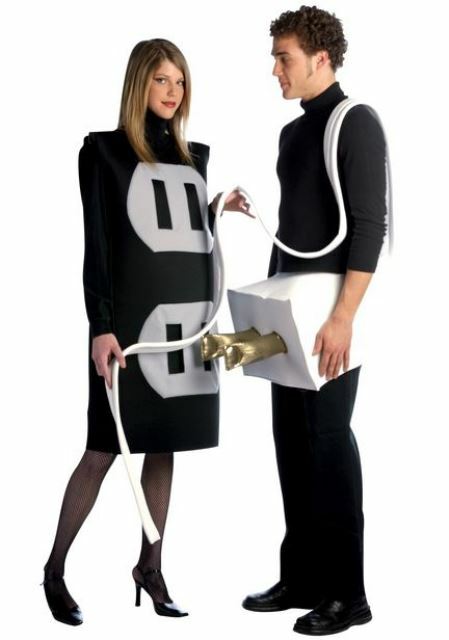 Nothing will go wrong with such a sweet, romantic Halloween costume. 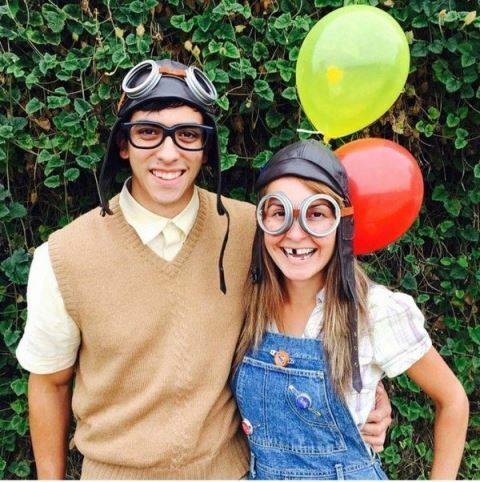 In my opinion, this is one of those Halloween costume ideas for couples that will set the adorable meter at an all-time high! And those pair of dungarees; the ‘Shandaar’ girl hearts them! Today couples don’t ‘fall in love’; they ‘rise in love’. Well, this could be a philosophical statement if you want to make one through your Halloween costumes. 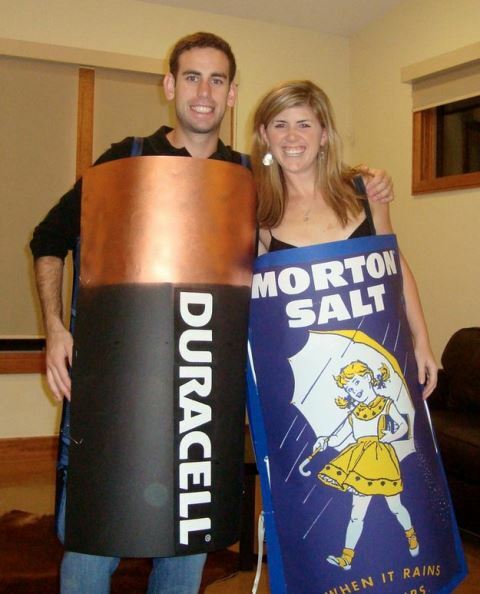 However, from a more materialistic point of view, this Halloween costume makes the Desi couple look HOT! Period. 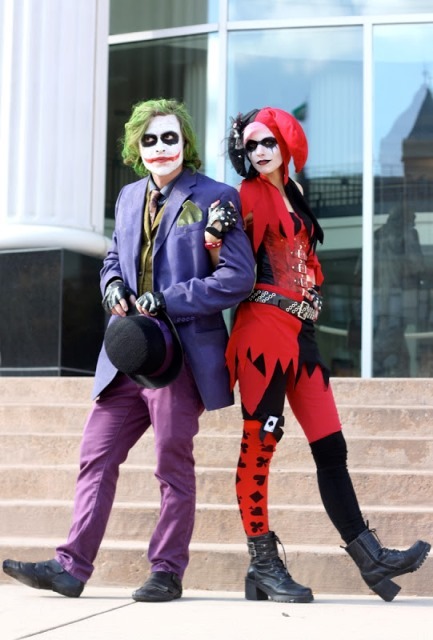 A costume with a twist – The Joker and Harley Quinn! 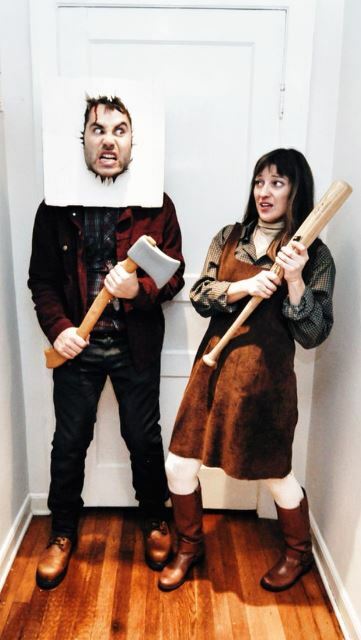 According to the couple that posted this on Pinterest, both of these Halloween costumes were handmade. 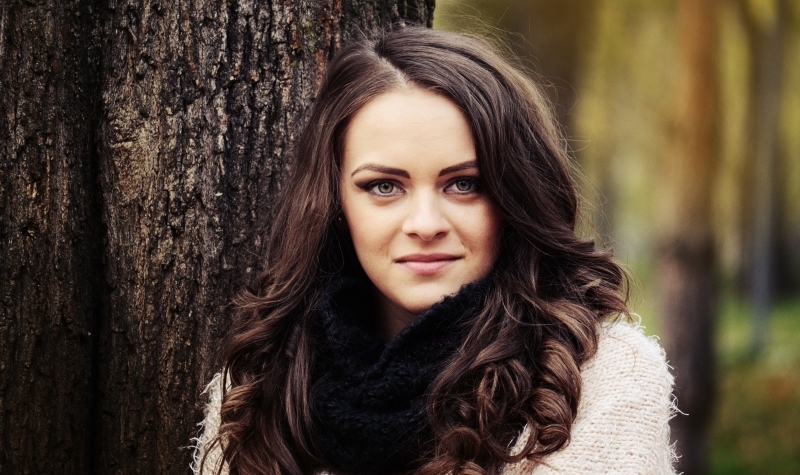 The things that she could not find at home were bought from a thrift shop. Isn’t she a creative genius? 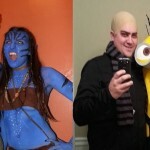 Well, Halloween demands you to be one. 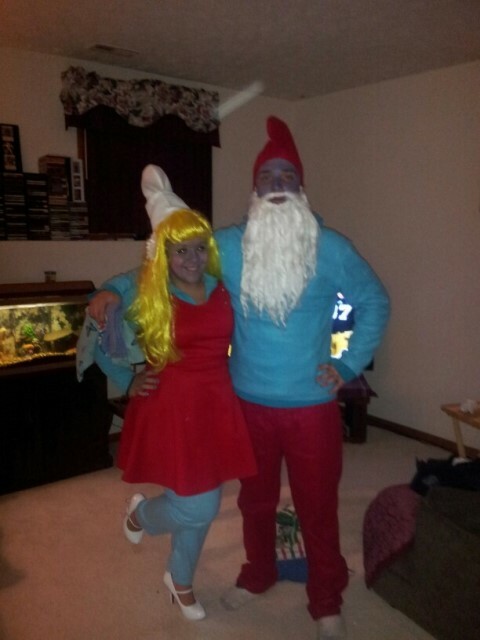 No, they aren’t Mr. and Mrs. Crime Master Gogo! 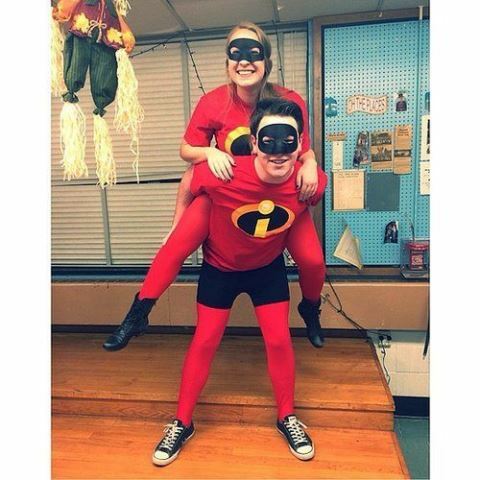 The costumes for the ‘Incredible’ couple are easy to create and inexpensive! 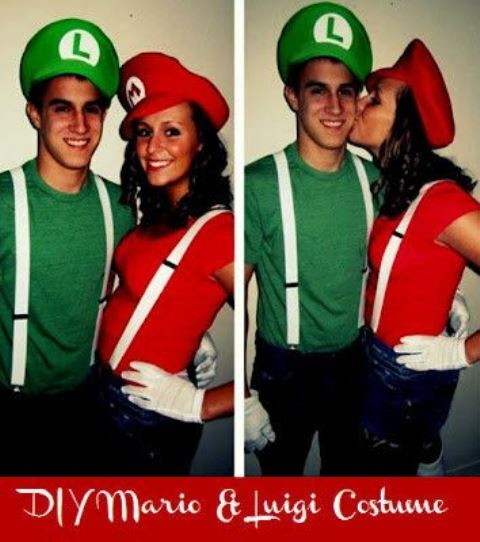 Speaking of aww-worthy Halloween costume ideas for couples, one cannot leave out Mario and Luigi, right? That pair of white gloves make them look like the perfect partners in crime. This one reminds me of the scene in DDLJ where Kajol gets drunk and runs around the whole of ‘somewhere in Europe’ while Shahrukh (<3) tries to manage ‘the mischief’. 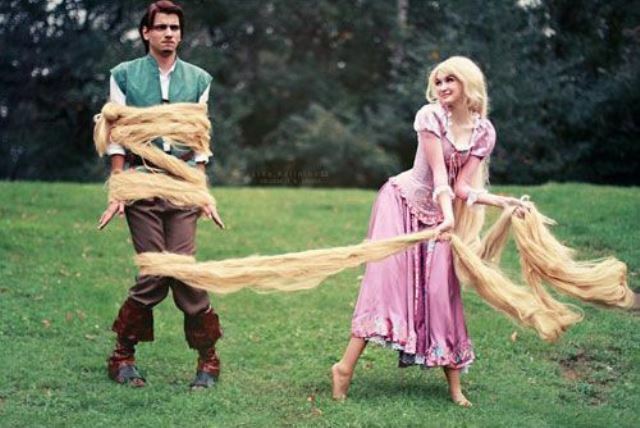 Anyway, once you’ve dressed as Flynn and Rapunzel ad you’ve found yourself on a veranda (aka ‘a Rapunzel spot’) at the party, ask someone to click that memory! The Dead Pirate Roberts has a doppelganger that is closer to home. Who? Remember that horse ride in ‘Baazigar’! Aha! You can use Ma’s red sari for this Buttercup gown. Hope my Ma’s not reading this! 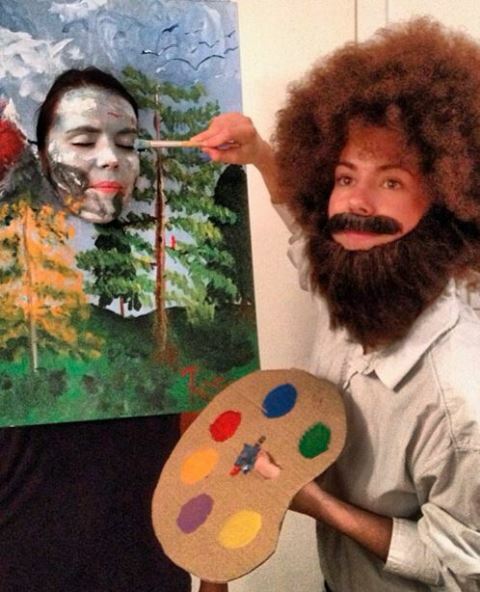 Now this is one hell of a creative Halloween idea, I must say! 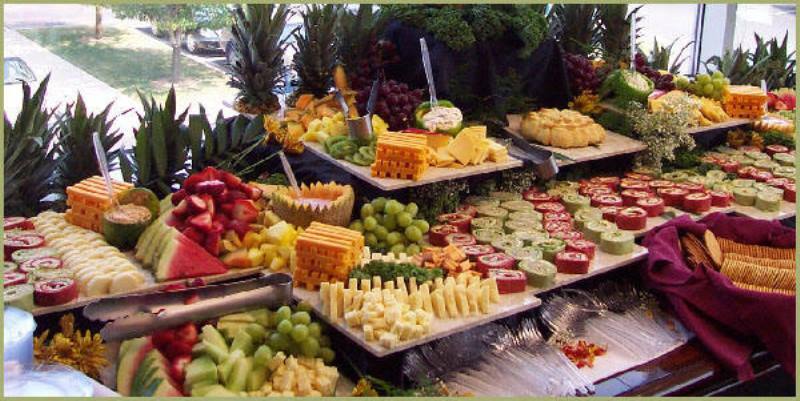 If you are planning to replicate this, I can assure you that this will be the most surprising idea at the party. Winning the sash in the end will be a cake walk for you and your better half! We are all Harry Potter fans, aren’t we? 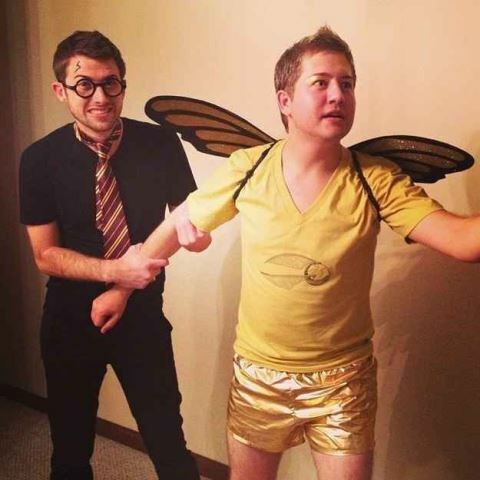 And as such, we know very well that the love story between Harry and the snitch is the greatest in the ‘epic’—even greater than the one between Hermione and Ron! 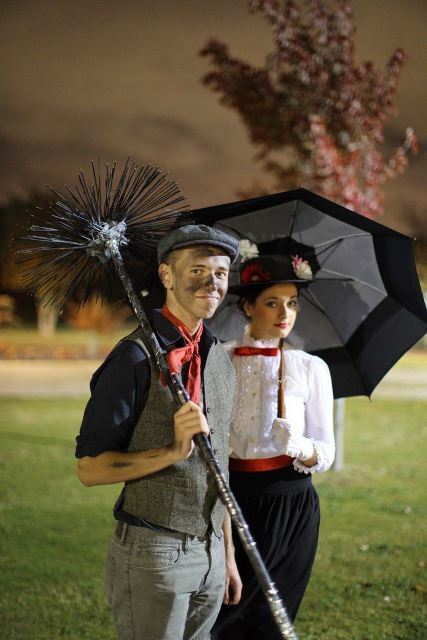 A broom is a must, even though this couple has given it a miss. 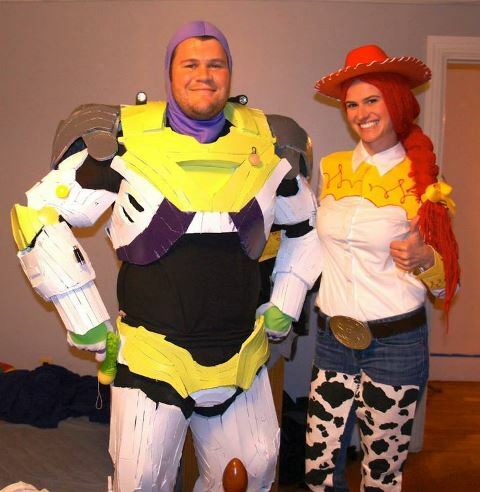 Toy Story is one of my favorite animations! The friendship between Buzz Lightyear and Jessie is one of the best things about the series. Taking inspiration from this movie, I think the couple in the picture has done an outstanding job! This couple has taken the term of endearment ‘better half’ to a wackily cute level of awesomeness! 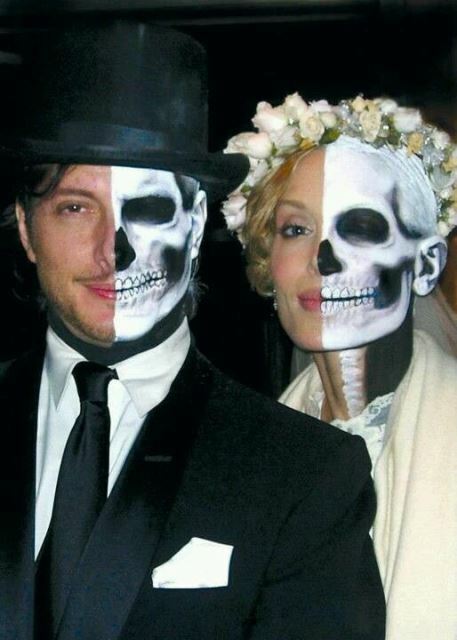 Skeleton on opposite sides of each other’s faces rather than the same sides (unlike the one in the picture), allows the couple to click pictures where, one way it appears like two skeletons are kissing, and the other way two humans. Ain’t that cool?! “Redrum! Redrum! Redrum!” Write this is in a piece of paper that you will be carrying to the Halloween bash and stand in front of the mirror! Ha, Bazinga! We Indians rule Instagram, checking out what Kareena’s up to or if Alia partied hard last weekend! So I think Instagram can be a great source of inspiration. It’s unique, easy to DIY, and real aww-dorable! If you are too proud to be an Indian (kinda like me! 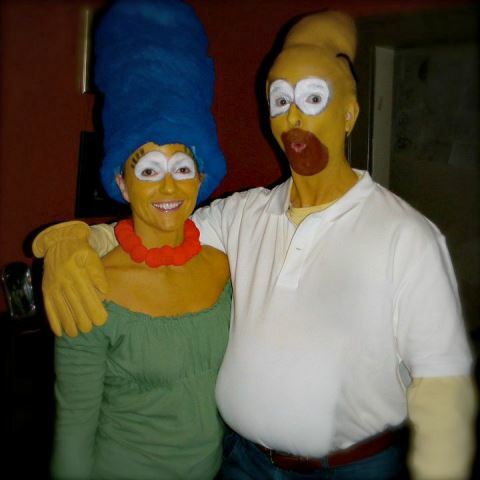 ), I suggest that you and your partner dress up as Apu Nahasapeemapetilon and Manjula Nahasapeemapetilon. But if you have never binged on the Simpsons, memorizing the titles of your characters could be the toughest bit of the whole act! Yes, we keep our men on their toes all of the time! But this poor chap seems to be in an even tougher situation. Or this is what love’s all about?! Tell me about it! 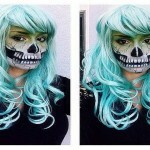 Suggested read: 30 insanely awesome DIY Halloween costume ideas EVER! If you aren’t into putting too much effort into your Halloween costume and would be more than happy to ‘come as you are’, being Juno is your baby! Just stuff a pillow to create the preggie belly. Your ‘Bleeker’ could wear his basketball shorts and tee! 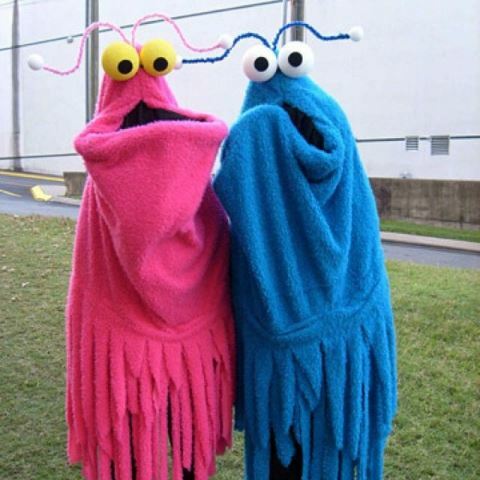 If your kids love the Martians, you could surprise them with these Sesame Street Martian costumes. They are totally rad, don’t you think? And do count the number of “Awws” you both are greeted with! Go “Yip yip yip!” about it! What a great day for an exorcism! 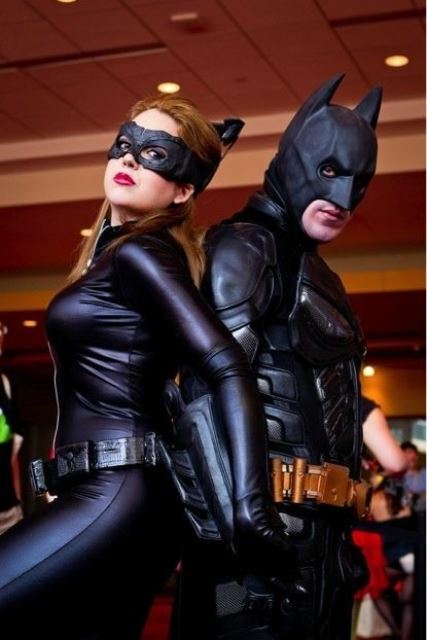 These homemade costumes came from salvation, a lot of liquid latex and a little creativity. 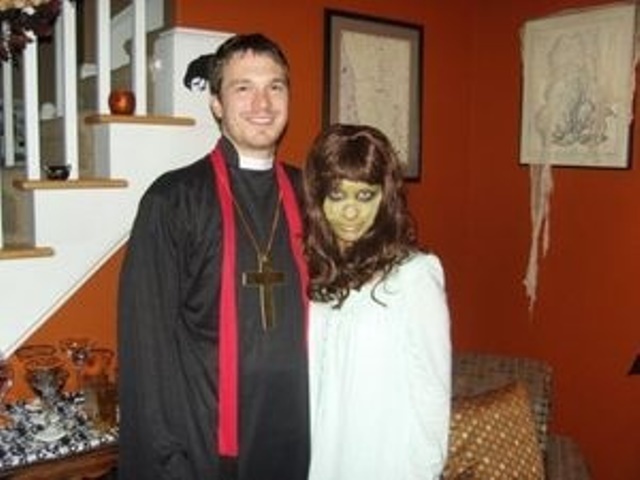 I am the infamous Regan (from the movie ‘The Exorcist’) and my husband is playing the role of the priest. 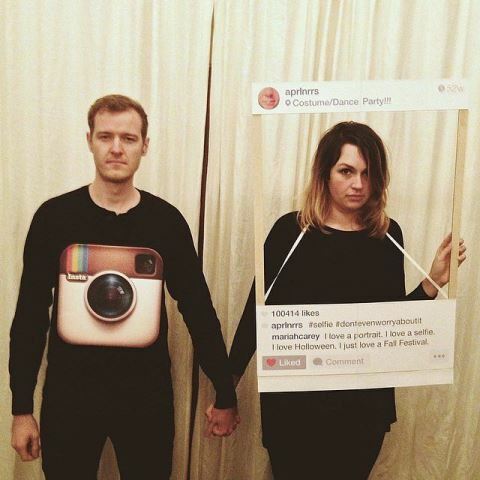 We love couples costumes with a twist! These costumes of live statues can be made quite easily and yet are kinda path-breaking. 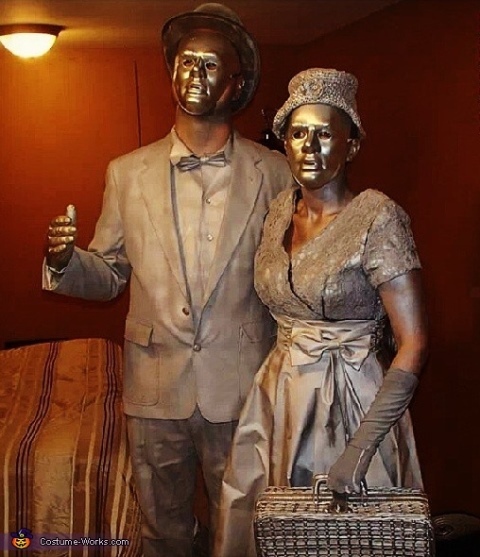 You can spray paint your costumes silver and your body too. 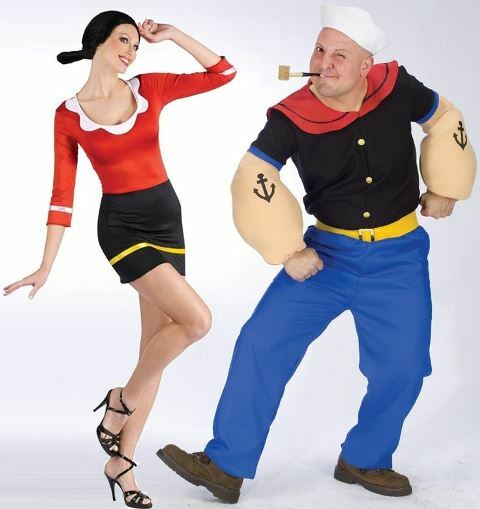 Once your costume is done, all you need to do is stand in various spots and pose. Pure Bollywood! 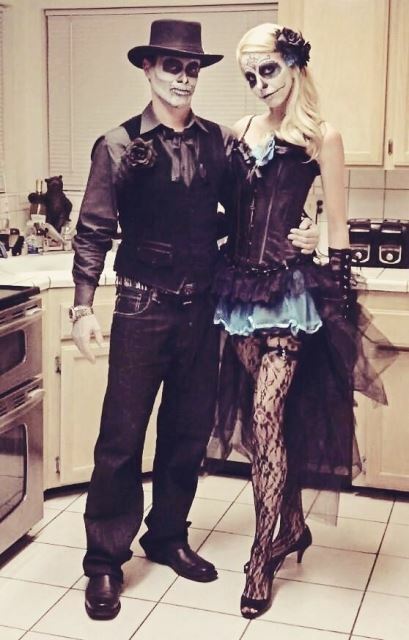 If there is one couple’s Halloween costume that will take over the whole Halloween bash at your neighbor’s party, is this one! Or you could carry the MTV logo and call it ‘MTV Unplugged’. Musically yours, always and forever! 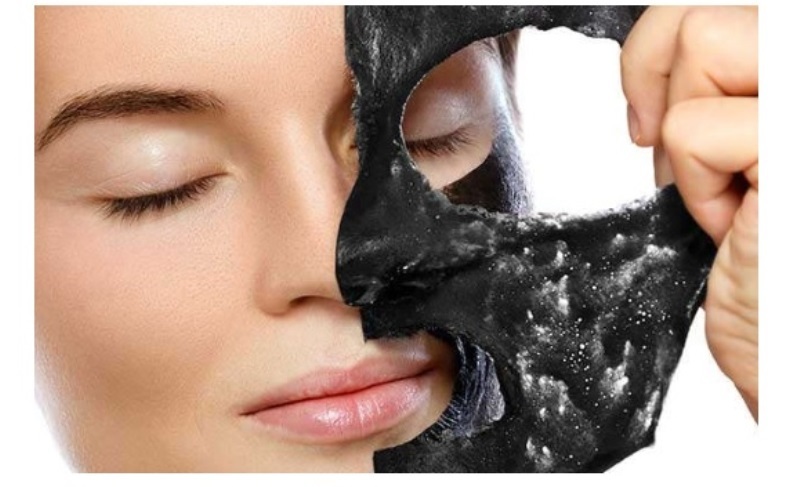 Flaunt that beautiful olive skin with this fabulous Halloween idea for couples! Your mom’s costume jewelry will come really handy! The magical nanny and her performer friend would be a perfect costume idea for a couple to go to a Halloween party this year. 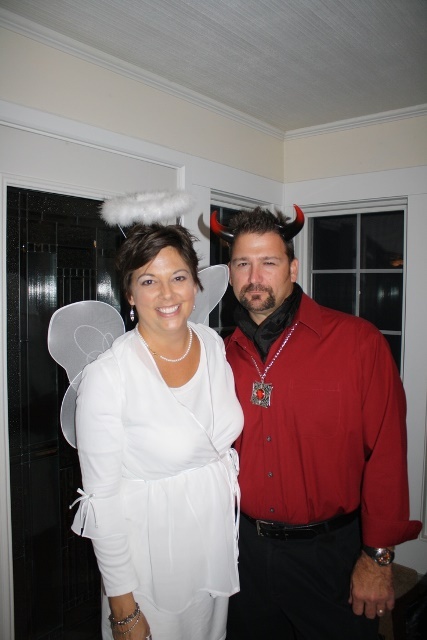 Aren’t men from hell and women from heaven or something like that? 😉 Showing the opposite forces that keep the whole universe in balance (almost! 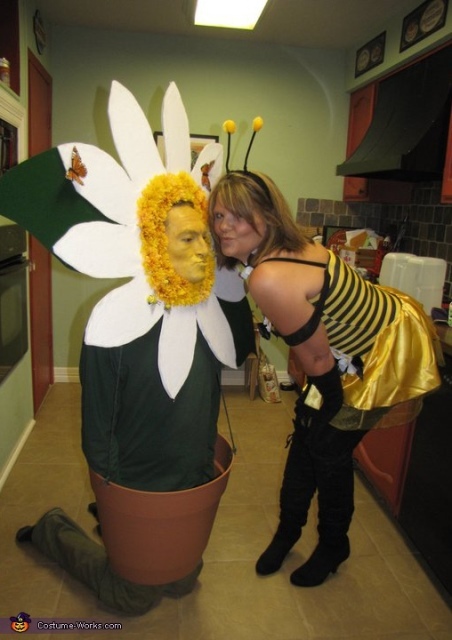 ), this Halloween costume is surely to turn heads! 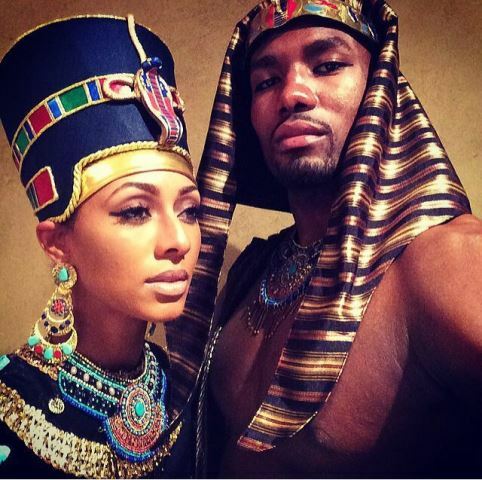 Halloween just a day away, here are a few Halloween costume ideas for couples you can steal from. 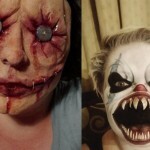 30 Insanely Awesome DIY Halloween Costume Ideas EVER!